HOBOKEN, N.J. – Bijou Properties is applying the finishing touches on the exterior façade of VIA Lofts, bringing into focus its latest sustainable luxury condominium building in uptown Hoboken, N.J. Installation of the brick skin of the six-story building is almost complete, providing a first-hand look at how Bijou Properties is utilizing high quality eco-friendly and visually attractive materials to create a modern residential landmark at 1410 Grand Street. The latest project in the Hoboken, N.J.-based developer’s portfolio of high-performing green buildings, VIA Lofts is registered for LEED Platinum certification from the U.S. Green Building Council. Designed by MHS Architects, VIA Lofts features a distinctive multi-colored red and grey brick exterior with oversized windows to blend seamlessly into its neighborhood streetscape. The top penthouse floor adds to the architectural asset with an aluminum composite, a visually stunning metal finish that continues to waterfall down the edge of the façade into a board-form concrete finish. 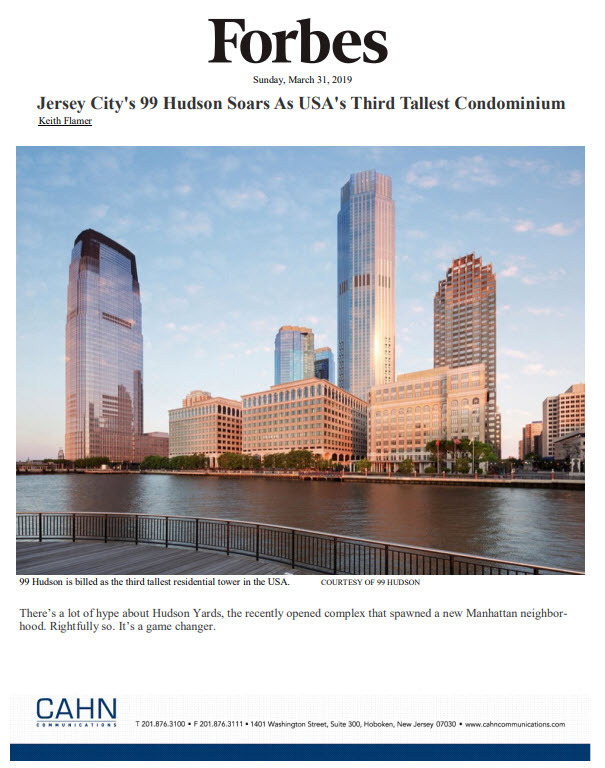 “We’ve taken great strides to ensure that VIA Lofts is built with the finest products and the exterior vividly illustrates how we carefully selected high-end materials to deliver a luxury, environmentally-conscience condo building to Hudson County,” says Christopher Mazzola, Development Manager for Bijou Properties. “For example, in today’s urban market the exteriors of many new multi-family projects are finished with brick panel siding. At VIA Lofts, we laid traditional brick which is extremely eco-friendly and provides better weather prevention, temperature control and ease of maintenance. The near completion of the exterior is not the only development progress being reported at the six-story building. Many of the interior spaces at VIA Lofts are taking shape, including the dramatic two-story lobby that will welcome residents. VIA Lofts will feature lavish two-and three-bedroom homes ranging from 1,186 to 1,495 square-feet of luxury living space. Initial occupancy is expected in late fall. Sophisticated finishes and appointments found throughout the homes at VIA Lofts include 11’ foot loft ceilings, high-performance Miele appliances, oversized windows and wide-plank oak flooring. Select homes will offer private terraces. Residents will enjoy a host of desirable building amenities and services, such as a state-of-the-art fitness center, private club room, landscaped amenity terrace with 42” lynx grilling area, and private parking garage. There will also be 1,930 square-feet ground floor retail space. Irene Perello of Hudson Place Realty is handling sales and marketing for VIA Lofts. VIA Lofts is the latest collection of premium, “green” residences developed by Bijou Properties in Hoboken. The building is being built in accordance with the USGBC’s LEED guidelines for developing high-performance, sustainable buildings which incorporate responsible site development, energy efficient design and ecological-friendly materials to create environmentally-sensitive urban living environment. For additional information, please call 833-VIA-LOFT or visit www.vialofts.com. Interested buyers can also email info@viahoboken.com.